Krulgar was the Orc Barbarian that JADE guest Joel R used in the Orc World Campaign. Joel R wanted him to be huge. 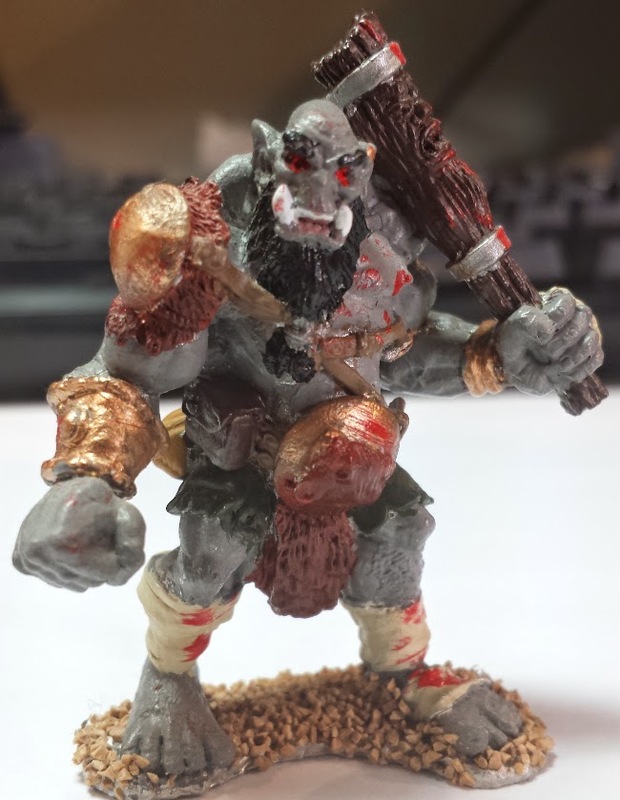 So this ogre from Reaper Minis was perfect. Now this is the old pewter mini, but you can of course still get the plastic version. Krulgar is not very bright, but his ability to smash things makes up for it... at least in Orcish society.